The Callier Center is located on Inwood Road, 1966 Inwood Rd., Dallas, Texas 75235, one block east of Stemmons Freeway (I35E). The Center is across the street from St. Paul Hospital and near Parkland Hospital and UT Southwestern Medical Center. The main building is at the corner of Inwood Rd. and Southwestern Medical Ave. Although the address is on Inwood Rd the Center does not face Inwood Road. You must turn south on Southwestern Medical Ave. to find our parking lot, which is located on an unnamed street immediately to the left. 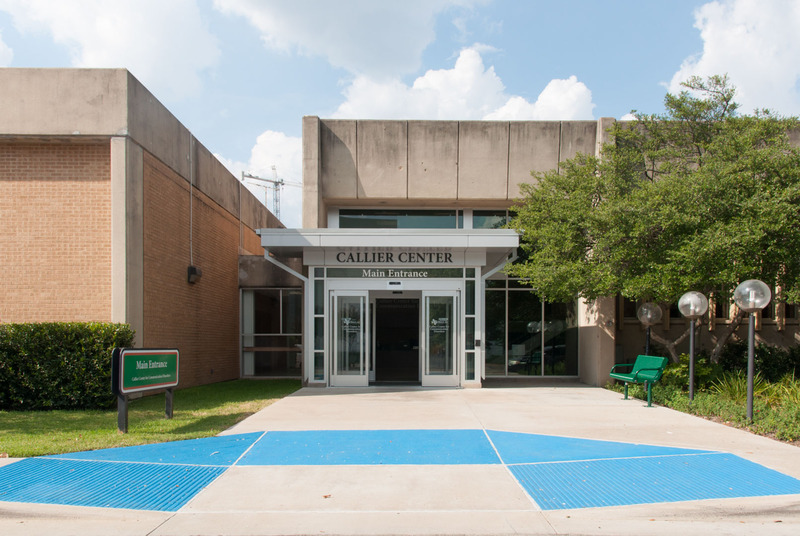 The main entrance is labeled Callier Center. Look for the signs. Our meeting room alternates from the main building to the new building left of the main building. The signs will lead the way. See you there!